It's no secret that I love baking. It's no secret that I love kitchen gadgets. And it's no secret that I like playing with new ingredients either. I had wanted to add a Microplane to my small tools drawer for a long time but somehow never actually got around to it. This year the hubby gave me a stash of money to spend on random things I wanted, as a birthday treat. I bought that Microplane finally! I'm not fond of fruit in general but I do love the citrus ones. I saw Meyer lemons at a gourmet food store and decided to indulge myself, their steep price-tag notwithstanding. And there I was! 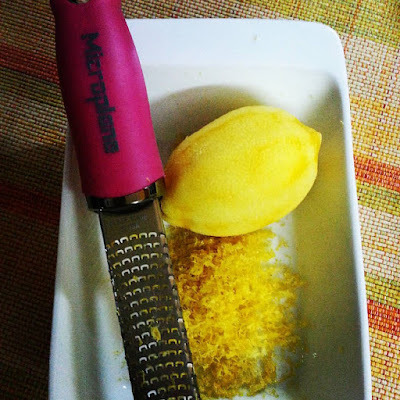 Armed with the ultimate zesting tool in creation and a variety of lemons I'd been drooling over from a distance for a long, long time - it was time to bake! 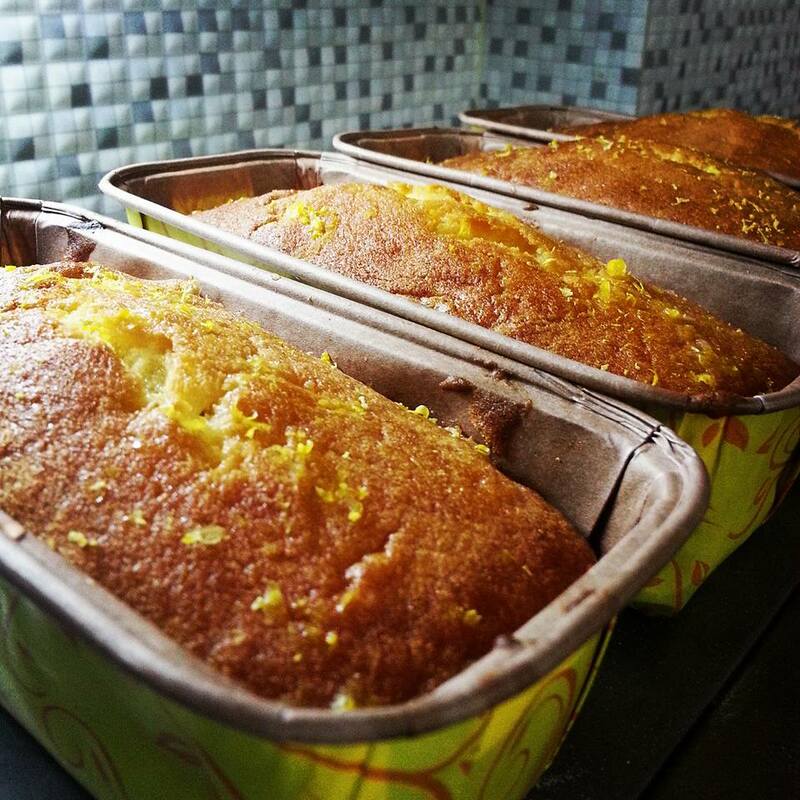 I have spent many hours looking at lemon cake recipes and even bookmarked quite a few to try out once I had everything in place. But somehow, I couldn't settle on any recipe when I set out to bake. After hours of back-ing and forth-ing between recipes I decided to just wing it and do my own thing. After all, I'd been baking for as long as I could remember and how hard could it be? Grease and flour an 8 inch cake tin. Set your oven to preheat at 180C. In a clean bowl sift the maida with the baking powder. In the bowl of your stand mixer or in a mixing bowl using a hand held mixer cream the butter with the sugar till it's smooth and pale. Add the eggs, one at a time, and continue beating. Add the vanilla extract too. Once the mixture is smooth, chuck in the lemon zest. Mix till it is combined nicely. Add the flour into the mix in small amounts. I use the 1/4 cup measuring cup from my set, and whisk well after each addition. Mix in all the flour to get a smooth batter. Pour batter into the cake tin and bake at 180C for 35 to 40 minutes. Check with a cake tester in the centre and if the tester comes out clean your cake is done. In the mean time make the lemon drizzle. Combine sugar into the lemon juice and mix well till the sugar is dissolved. Stir in the reserved zest. Taste and check for a good balance of sweet and lemony sourness. Sprinkle the drizzle randomly on your cake while it's still warm. Let the cake cool completely before you unmould it. I didn't soak the entire cake with the drizzle but just randomly splashed it on the surface. This resulted in surprise lemony explosions of flavour while eating the cake, which I loved. Serve this beautiful cake at tea time, add slices to lunch boxes or, like me, make them in disposable cases and distribute to your friends. Deliciousness, like happinesss, must be shared. So go on, get baking! this looks so beautiful Rhea ...while i have just baked Garima's orange cake I just want to get back home and bake this one as well. And now I want that zesting gadget as well!!!! Wow a simple n quick recipe. Can I use regular lemons instead of Meyers lemon? Will it bring too much acidity to the cake? @Fatema - the regular small Indian lemons won't give you much zest, and the juice is quite sour. Use your judgement while making the drizzle. See if you can find Pahadi, Kagazi or Gondhoraaj lemons (all Indian varieties) which have very fragrant zest and plenty of juice too.